In French les etrennes means a new year’s present, and the chalet of the same name – brand new with Finest Holidays for winter season 2017/18 – could be just the gift to give your family the most sophisticated, stylish, and Christmassy Christmas you’ve ever had. 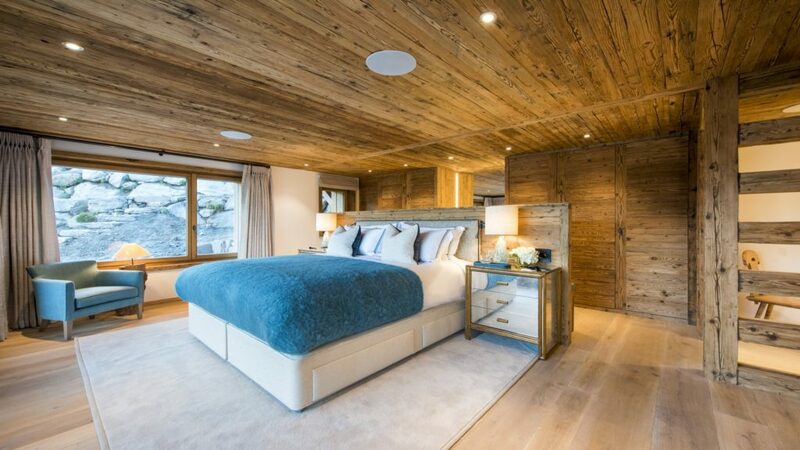 An extensive refurbishment of this beautiful six-bedroom chalet in Verbier has just been completed, bringing the interiors to a level that makes Chalet Les Étrennes one of the very best and most exclusive chalets in Verbier, Switzerland’s most fashionable ski resort. The location of this stand-alone property didn’t need any improvement. With a south-facing perch perfect for the Savoleyres ski area, the views take in both the roofs of Verbier below, and the towering Mont Blanc above. Those enticing slopes are short chauffeur-driven or free bus ride away. 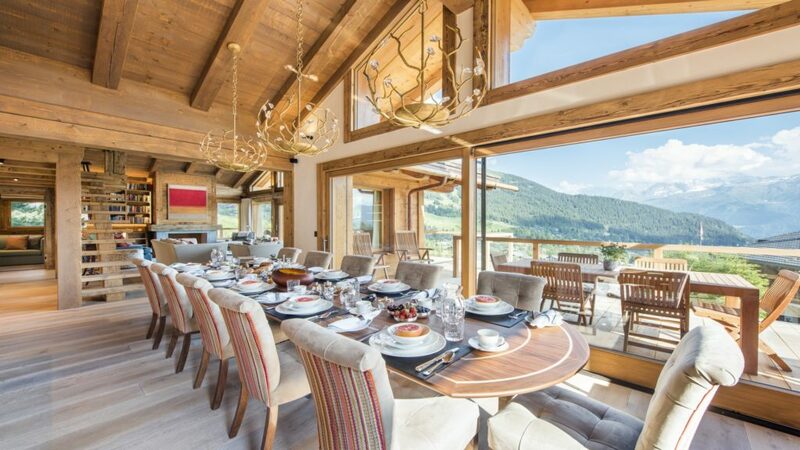 In traditional Alpine style, Chalet Les Étrennes brings as much of that wonderful Alpine light into its classic wooden interiors, with enormous windows opening up mountain views for guests and flooding the rooms with sunshine or starlight. This much-sought-after four-story property sleeps up to 12 guests in six bedrooms. A ground floor entrance takes you past the well-equipped ski room and up to the first-floor, where the first two twin/double rooms (one fully en-suite, one with shower room) are sited opposite the hammam, a North African-style steam room – a haven in perfect minimal white. The master suite, on the second floor, is also a sanctuary for those who sleep there. A private terrace has some of the chalet’s best views – best enjoyed from the hot tub – while a separate dressing room, huge en-suite bathroom, and separate shower room ensure the high-altitude sense of space comes into the suite. A second south-facing terrace on the second story is shared by three individually styled en-suite double bedrooms. It is the third floor where you will spend most of your time in Chalet Les Étrennes. This space is stunning: a huge living and dining space made to appear even larger with its grand picture windows and double-height ceiling. The photographs really do not do this set of rooms justice; it must be seen to be appreciated. Like the rest of Chalet Les Étrennes, the interiors combine the best of traditional Alpine style with modern touches that produce a timeless style that’s a pleasure to relax in. Aged wood, giant soft sofas, and acres of rugs are the place to sit around the fire for aperitifs before enjoying dinner – with your own food or menus from our private chefs – at the big mountain-view dining table. And when the sun is out or going down you’ll want to head out to the spacious terrace to look up to the mountain or down to the village. Hidden away on the third floor are a TV room and a library, perched above it on the mezzanine with plump armchairs and a piano for musicians who find inspiration here. You can enjoy this luxury chalet either as a catered (including chauffeur service) or self-catered property. Ask us about the extent of the services, which can include complimentary ski lessons, full family dining services, and much more. Finest Holidays can also help you plan your ski vacation with our concierge service opening up the best of one of the most exciting resorts in the Swiss Alps. The first recommendation that we’d like to make – and we’ll be happy to book a table – is dinner in La Table d’Adrien on Chemin des Creux. This Michelin-starred establishment calls itself a ‘restaurant d’emotions’ and chef, Mirto Marchesi, allows his Italian roots to show in a menu that also showcases French and Swiss influences, and which the Michelin Guide 2017 described as “masterly, mouth-watering cuisine” contributing to a “perfect evening”. 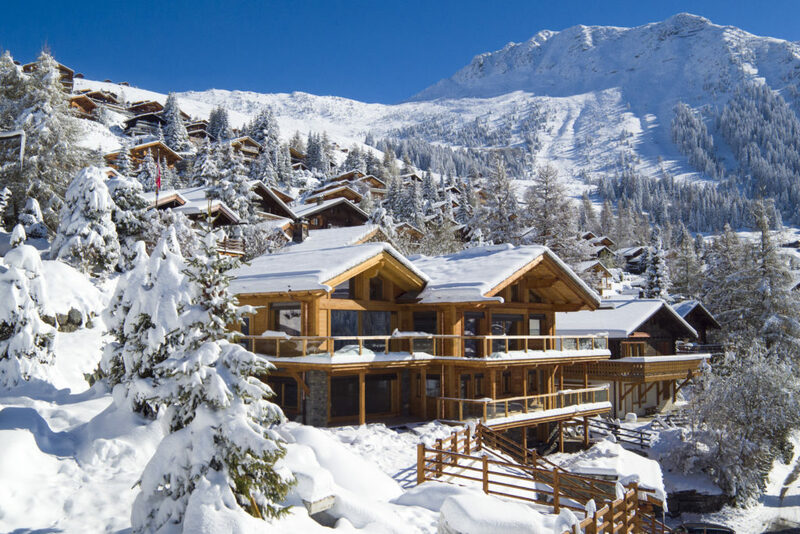 There is much more to discover in Verbier, which alongside wonderful skiing – including some of the best off-piste on the planet – boasts nightlife that brings the world’s celebrities flocking every season. 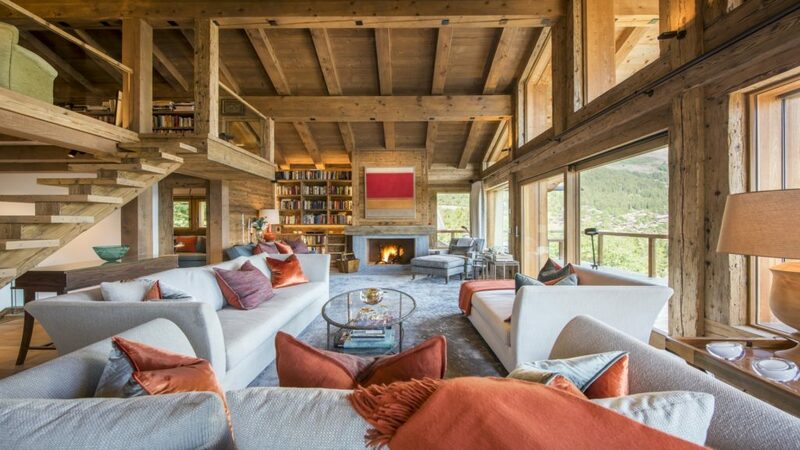 Chalet Lotti- a rarity in Gstaad! Europe’s Skiers Celebrate Great Snow Falls! Get the best discounts Now!